Individual Treats for Everyone! After so many requests from our customers, we had to say yes! 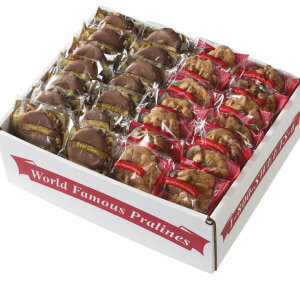 You'll get your choice of 50 or 100 of our mouthwatering Pralines individually wrapped and packed in a large case. I ordered these for my daughters wedding favors and they were perfect! Everyone loved them! 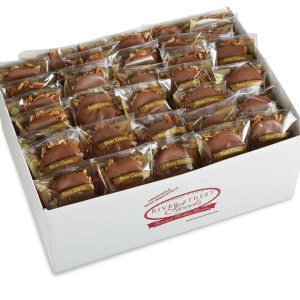 Love putting these in my gift bags, and everyone loves getting them! 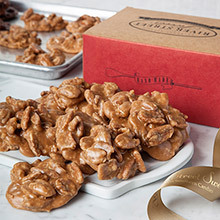 Since our meeting was in Savannah, we knew that we would need to provide the world's best pralines to our attendees. 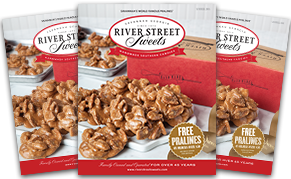 And everyone knows that the world's best pralines come from River Street Sweets! Everyone was so excited. 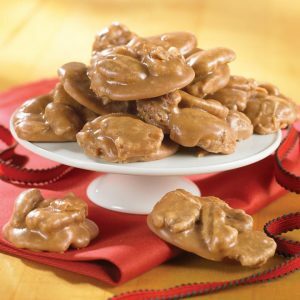 The pralines went over like gangbusters! 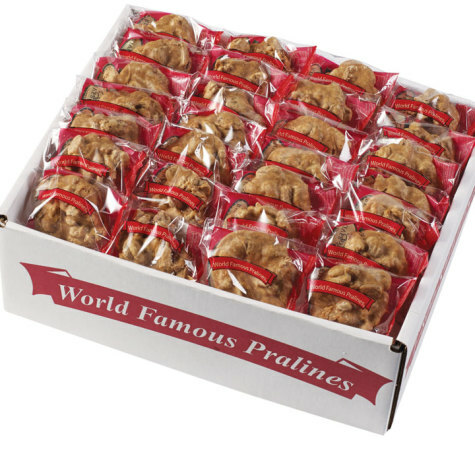 This is our second year in a row getting the Pralines for National Praline Day. 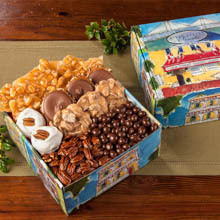 They were here on time both times and packaged so nicely and so delicious! Our company will definitely be returning! Thanks Riverstreet Sweets! 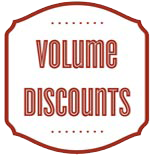 We received our order promptly upon ordering. The box arrived with each praline perfectly intact and excellent. 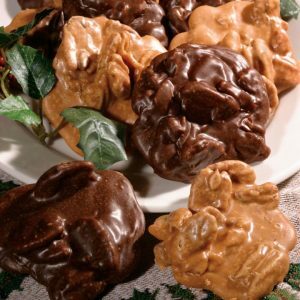 Exactly the "crunchy nutty praline" we like! 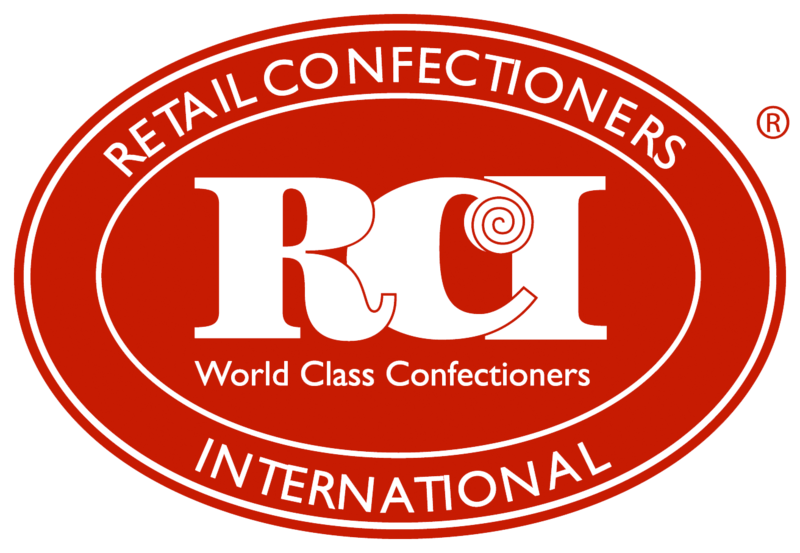 Thanks for your professionalism and excellent products! We were very pleased with the quick delivery and the quality of the product, these were ordered as a Southern Gift for some VIP visitors, they went over well.